Taiwan's Financial Supervisory Commission has begun accepting applications from the country's banks for offering Apple Pay to their customers, according to a report out today (via DigiTimes). The mobile payment service will initially be limited to the use of credit cards, although other financial card systems like debit cards are expected to be allowed at a later date. Apple Pay is expected to be provided by Taiwan's four big banks – CTBC Bank, Cathay United Commercial Bank, E.SUN Commercial Bank, and Taishin International Bank. 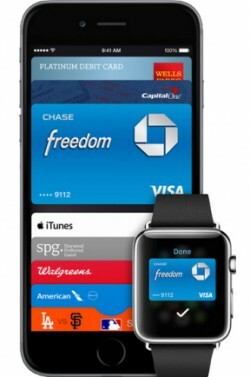 Customers should be able to apply to use Apple Pay at the end of the year at the earliest. Last month, Taiwan became joint-third in line with Switzerland to adopt Apple's carrier billing feature for iTunes users, allowing them to charge app and media transactions directly to their cellphone bill. Apple debuted the billing scheme in Germany back in October 2015, before rolling it out to users in Russia a month later. Apple is likely to continue to expand the initiative to more countries as it seeks to secure deals with carriers for lower transaction handling rates.